In a previous article, we explored the different types of 3D printers based on the 3D printing technology and the used materials (What Are the Types of 3D Printing Technologies?). 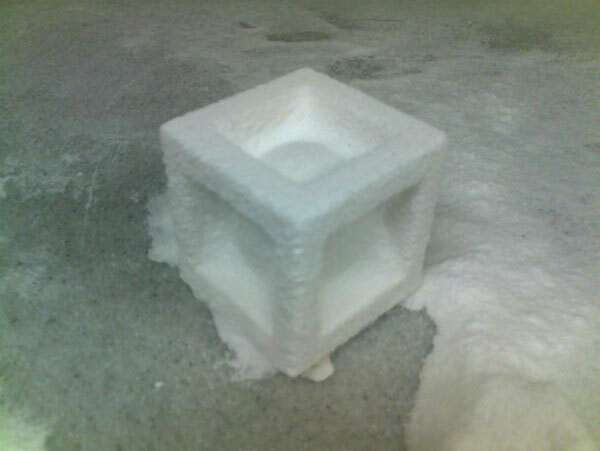 The powder printing is one of the commonly used methods in 3D printing industry, but what if we changed the powder with sugar? 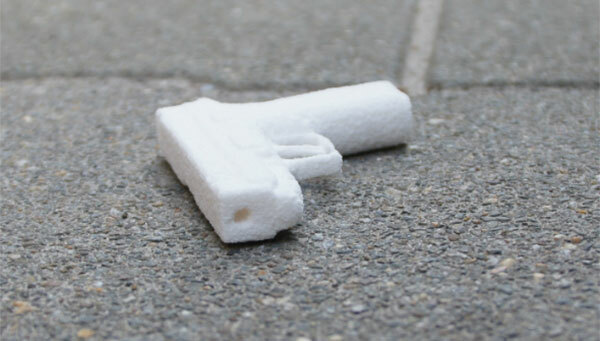 The idea that sounds sweet enough to be a dream was actually behind this interesting 3D printed models project. Julian Sing is a Dutch product designer with long experience in product development, prototyping, and model making. While he was waiting for his daughter’s birthday cake done in a cake shop, he got an idea to do his own food shapes. Actually, Julian did not start directly with the 3D printing and began with laster cutter, which engraves on materials and extrudes it unlike the 3D printing technology. The results were very interesting and he could engrave on cucumber, banana, and potato. The following step started when he bought Zcrop 310 Plus 3D printer (5 Affordable 3D Printers to Buy) in 2014 and started to create 3D printed food using sugar. 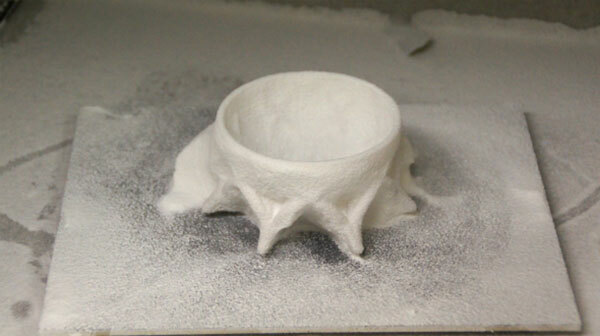 Instead of the powder that is originally used in this 3D printer model, Julian used fine sugar powder that is held together using a special glue to form fine layers of the 3D printed models. The non-glued powder around the model is used to support it and after finishing the 3D printing, this powder can be used again and again. 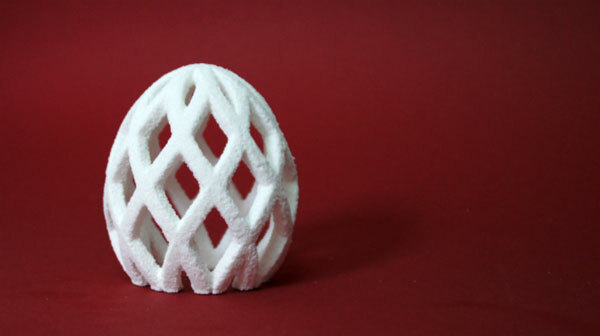 The Meshed Egg is one of the challenging examples that Julian wanted to create a stable print to be used in cake decorating. 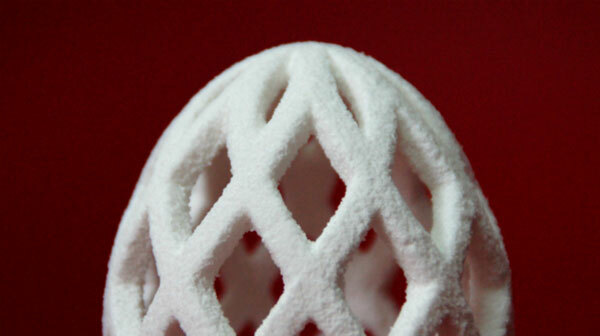 The Mesh Egg model is 12 cm in height. In this Play Ball model, Julian created two objects inside each other. 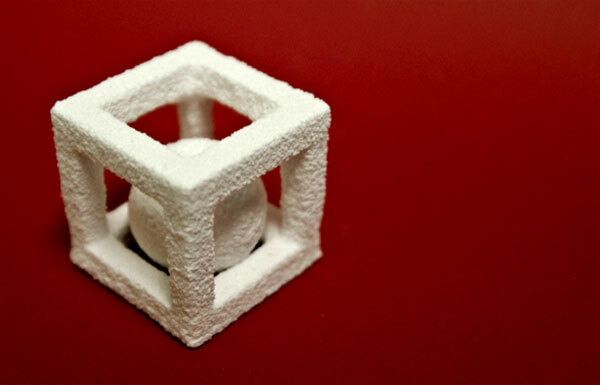 The ball inside the cube is larger that the cube opening and can only be created by 3D printing it. The photos above shows how the results got improved. 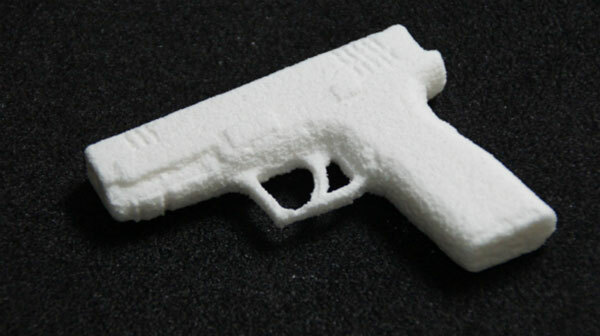 The Eat Lead is an example for 3D printed gun, but this time it is made out of sugar that you can actually eat it. The above model is for a sugar bowl made out of sugar. 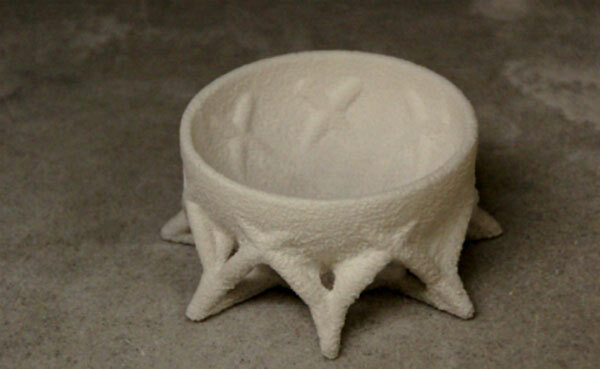 The lattice structure helps the bowl to stay stable and creates the decoration inside it. The size of this bowl is 14 cm X 14 cm X 7 cm. While the above examples show a very interesting project and new implementation for the 3D printing technology, I believe further researches and product development can help reaching a professional product.